Bizagi and RPA create a powerful end-to-end automation solution. While RPA handles repetitive tasks and data entry within a process, Bizagi connects your human workforce and your bots through intelligent end-to-end processes. 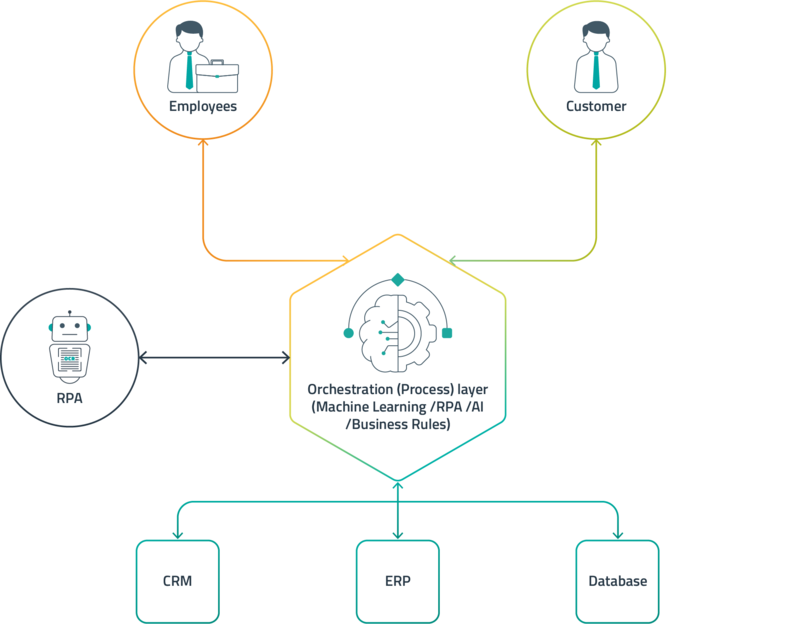 Bizagi natively integrates with the leading RPA vendors, making it easy for you to rapidly connect your task automation with deeper process orchestration. Robots versus Humans, Who Will Win Out?